November 11. Veterans Day. Armistice Day. Remembrance Day. The name is dependent upon in which country you live. The meaning, however, is universal. A day to remember those who have gone before us, who have given the ultimate sacrifice, who have selflessly fought for their country, freedom, and in most cases the greater good. This holiday was initially known as Armistice Day. It was created in honor of the armistice signed by the Allies and Germany which brought about the end of the First World War. In the United States, in the aftermath of World War II and Korea, Armistice Day was amended to Veterans Day in 1954. In the British Commonwealth of Nations, is has become more commonly known as Remembrance Day for the same reason. But the fact remains that this day was initially created as a way to commemorate the end of World War I. Here in the States, World War I doesn’t get quite the attention it does in the UK. The British declared war on Germany in August 1914, whereas the Americans didn’t join the fight until April 1917. (There is a fascinating interactive WWI timeline available here from the National World War I Museum at Liberty Memorial in Kansas City.) So the stakes and death toll for the British were much higher than that of the Americans. The US mobilized half the total number of forces that the British Commonwealth did, with just 1/8 of the casualties. Staggering numbers to consider. 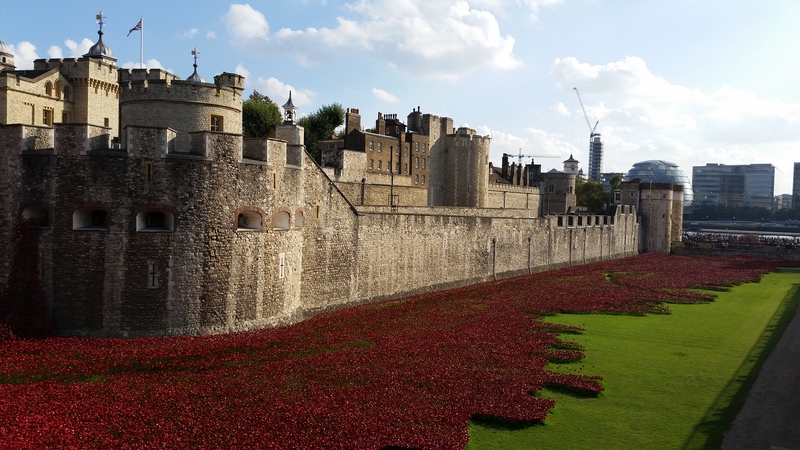 This Remembrance Day there has been a vast amount of coverage of the Tower of London poppies. The pictures, and what the poppies represent, are moving. 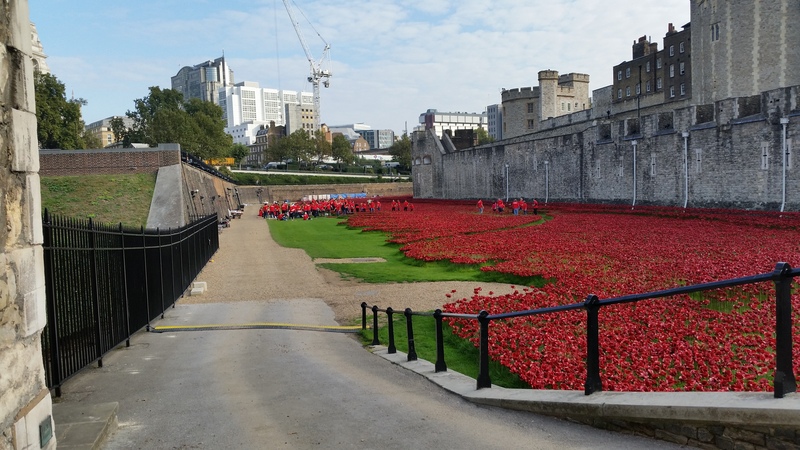 Each of the 888,246 poppies represents a British Commonwealth military fatality during the First World War. It’s a humbling reminder of the cost. 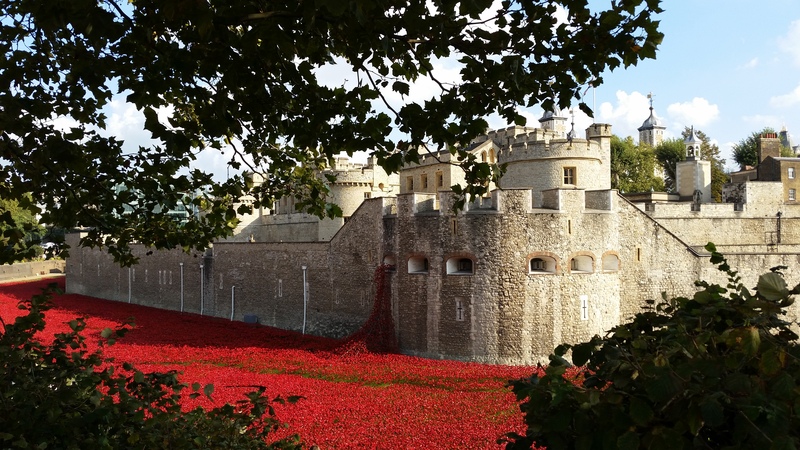 2014 marked the 100th anniversary of the start of World War I and Britain’s involvement. The display is an amazing way to commemorate this milestone as well as Remembrance Day itself. 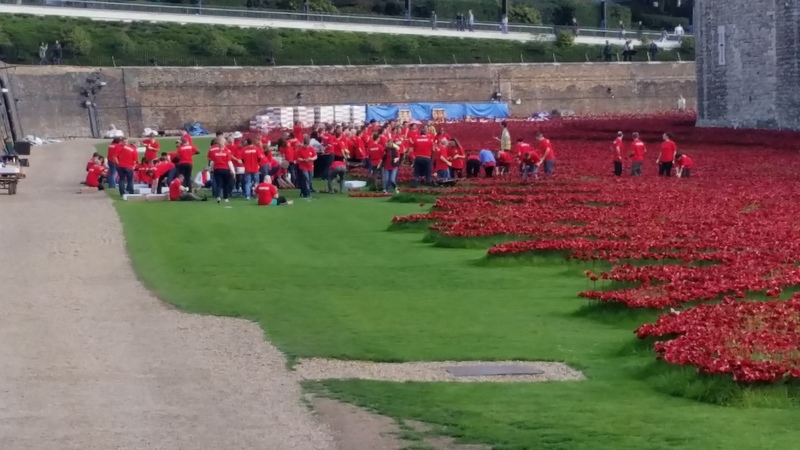 When I was in London in September and October, I was lucky enough to see all the volunteers installing the poppies in the moat at the Tower of London. It was an amazing sight then. I can only imagine what it looked like in person once the entire moat was full. 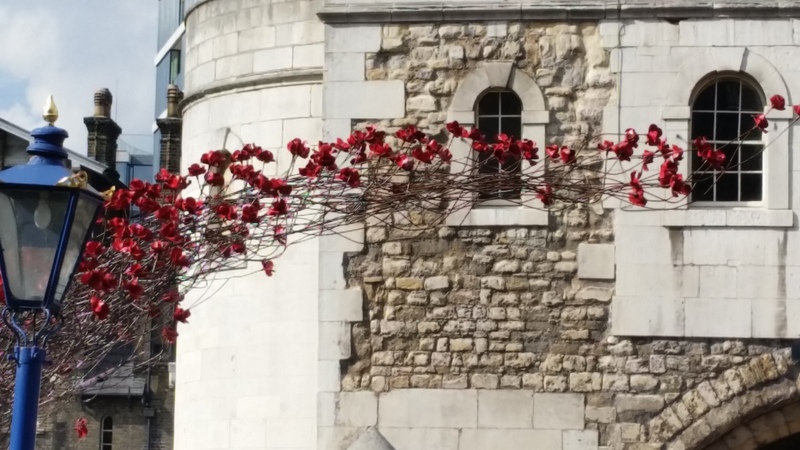 This entry was posted in Day to Day, Travel, Uncategorized and tagged Armistice Day, National World War I Museum at Liberty Memorial, poppies, Remembrance Day, Tower of London, Veterans Day, World War I. Bookmark the permalink.